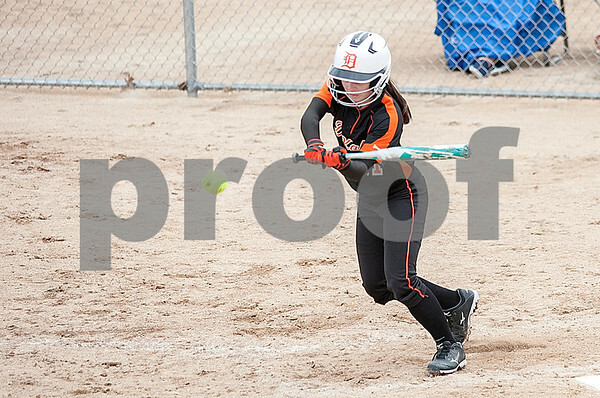 DeKalb's Payton Montgomery makes contact for a single during the second game of the doubleheader with Downers Grove South on Friday, April 3, 2015. Montgomery scored DeKalb's lone run. DeKalb lost both games to Downers Grove South, 14-0, and 3-1.